AGES 12-17: SUMMER ART CAMP FOR TEENS! A minimum of 3 days is required for summer camps. To Sign Up: Click on the dates below to register for that particular week. Calling all creative teens who want to feel inspired, spark their inner-artist, and have fun through art! 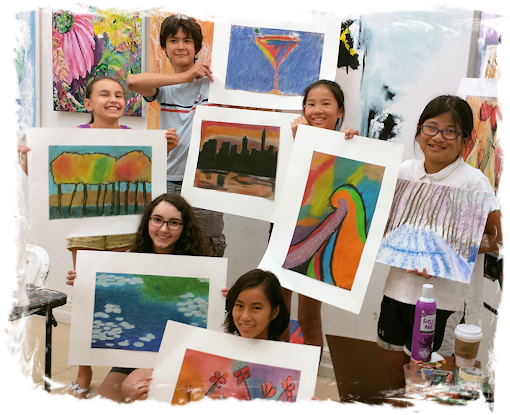 In The Art Studio NY’s inspiring art camp for teens, budding artists tap into their creativity as they learn to express themselves through painting, drawing, mixed-media, and artistic self-expression. In the #1-rated art studio in NYC, this teen art camp is not to be missed. Teens receive one-on-one customized art instruction with professional artists as they explore artistic techniques including color theory, art history, line quality, composition, shading, texture, personal style, realism, abstraction, and more. In our art camp for teens, artists enjoy occasional fun field trips throughout the summer and enjoy the richness of the New York City art world. From The Metropolitan Museum of Art to Central Park, our teen art camp allows kids to explore their passion and excitement for art. 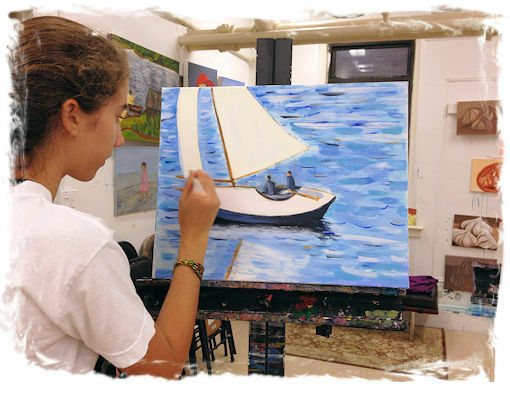 Whether your teen is an up-and-coming artist, preparing for a future portfolio, or a beginner, The Art Studio NY’s warm and nurturing professional teaching artists will work one-on-one with each teen throughout our art camp for teens in order to foster joyful, artistic growth while creating artwork that your teen will be proud of. As each student explore acrylic paint on canvas, oil pastels, charcoal, mixed-media expression, graffiti art, ink, portraiture and more, kids will build their self-esteem while strengthening their communication skills, relaxation skills, and problem-solving skills through art and in everyday life.